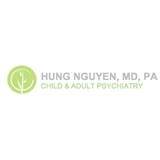 Hung Nguyen MD (Fort Lauderdale) - Book Appointment Online! He's professional, on time, and to the point. His "bedside manner" as a Doctor is top notch! One of the best I've ever experienced in my lifetime. Yes, he's that good.